I like your outfit idea, very cute and comfy! I don't think I could design my own, not enough creative juices. I used to be a ked freak! Until I found chucks and jack purcells. oh what a cute idea-I would love to create some for my daughter and myself! great idea and love that keds pair! I may have to go check this out - very cool! What a cool display! Love it! Very innovative! too too cute!! they are darling!! What a great concept! I wore Keds for YEARS when I was a kid. I'd get a new white and red pair every fall and wear them until they fell apart. I love them all over again now! oh fun! I didnt have keds, we had some other brands in Spain, but love them anyway! THis is awesome. I LOVE Ked's so so muuuch! What a fun idea! 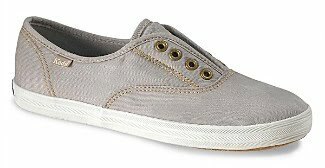 Keds take me way back...I lived in them as a kid! I might have to do that, thanks for the great tip Jaime! Ohhhhhhh, I want a pair! oh those are so cute! I love my keds! Wha? If only I was in NYC! Ooh love this and would totally head there if I was in the area! Thanks for sharing! Just found your blog and I love<3 it! I also realized that you are from BOSTON! That makes me SO ridiculously excited. I haven't met any other bloggers from this area! I am also from good ole' MA :) I am now following you! Come visit! Enter my Brooklyn Thread giveaway!